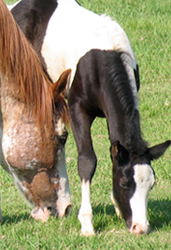 It has been our pleasure to provide quality veterinary care for beloved equine family companions and competitive performance horses as well as commercial dairy and beef herds in the Visalia area since 1976. Dr. John Migliore and Dr. Ken Fiser have been practicing in the heart of the Central Valley for over 35 years. 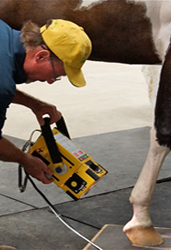 We feel our clinic is uniquely qualified to serve both our equine and bovine clients because of the high degree of cooperation and significant commitment to continuing education among all of the veterinarians at the clinic. We work together to provide the most up to date medicine, and attend classes and consult with experts when needed to achieve the best possible results for our clients. We enjoy providing quality service for a wide variety of equine enthusiasts and bovine businessmen, and we endeavor to offer the highest quality care while always keeping both the owners’ and patients’ best interests in mind. After reviewing the services we offer, please feel free to call the office at (559) 732-4810 if you have any questions. The hospital is located in Visalia and we have the ability to provide mobile care to much of Tulare and Kings counties and portions of Fresno and Kern counties. 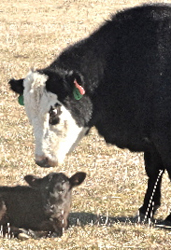 We look forward to building a relationship with you and working to improve and protect the health of your animals.